Don’t quite have an optimum place to practice your techniques? Want a spot to train at and call your own? Why not build it yourself?! We offer workshops and online tutorials based on nothing else but the sturdy construction of training equipment for Parkour. Anything from the construction of Cat boxes, Vault boxes, Rail-precision trainers, Basic-precision trainers, and more will soon be an available skill to anyone in the public who is interested!! Custom workshops focus on specialized skills to propel you to new heights in your art of movement knowledge and technique! We offer workshops that focus on a limited number of participants, and we also have special event offerings for different age groups and skill levels coming soon! Last May we hosted a parkour and natural movement obstacle course for the open public to come explore the art of movement for personal growth in a safe environment. Things went so well we plan to make it a part of our yearly schedule. Come adapt to the local environment with us! 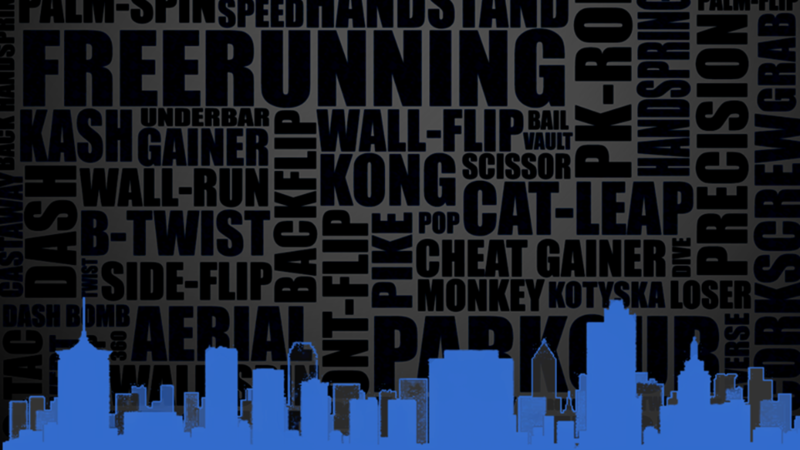 Keep your eyes peeled for our mobile Parkour gym though out Tulsa as we spread the art of movement to your neighborhood! We’ll keep you posted on our upcoming events and performances! CONTACT US TO RESERVE YOUR SPOT AT THE NEXT WORKSHOP.